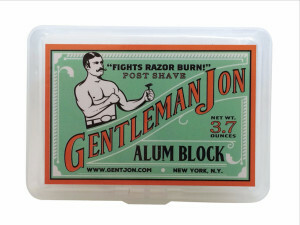 I recently ordered a shave kit from Bespoke Post and it included something I had never used before — a so-called “alum block.” The actual item was Gentleman Jon Alum Block . To start, as a fan of design, I really like the tough guy logo. I already use potassium chloride crystal cubes, also known as KCl, in my water softener, and have looked a bit into KCl as, among other things, a source of beta radiation.